This sign is for CAT and John Deere. The sign’s colors are red, green, yellow, black and white. 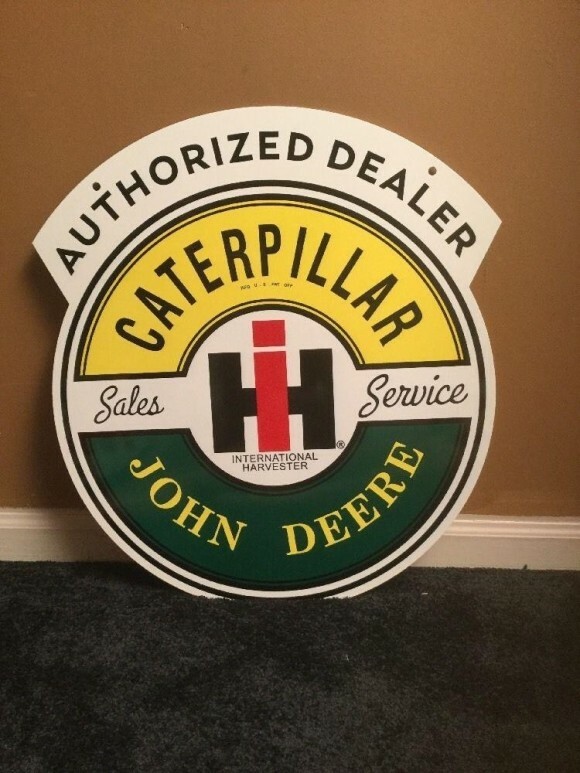 The text on the sign reads: Authorized Dealer Caterpillar John Deere Sales Service International Harvester. The sign shows three logos with various text surrounding on the die cut sign.